Grace and I are working with Mark to hang Life2, the new exhibit at The Bleeding Heart Art Space. The task is common–deciding what to hang where, and what to leave out. Our space is not large and we want each image to have the impact it deserves. The variables of this decision are a lot more complicated this time around. Life2 is a show full of stories. True stories. Stories still being written. Stories with twists. Uncertain stories. Each photo represents a life being lived. A person who was in prison, but is now experiencing their second chance. All of the fear and doubt and judgement and shame that come with that. All of the hope for the past to stay the past. But some pasts are just so strong. It's late last week when I see the CBC logo in my email inbox. The message is from CBC's Isabelle Gallant. She produces the afternoon show, Radio Active. I'm not expecting this email, but it is just what I've been hoping for. Someone in the media has caught wind of Blue Christmas, and thinks it will make a unique Christmas story. I agree, but I'm more than a little biased. We exchange emails and set a time to meet. Tuesday afternoon I light the fireplace, start the music and tidy up for company. I open the door for the first radio interview in our new space. I give Isabelle a quick tour and then we sit down for a chat. As is the custom for this show, we've both removed our shoes. Isabelle asks me to describe the space for those who will be listening. I'm reminded that this is radio and there are no visuals to accompany the story. Giving a description takes more effort—and time—than planned. But as I'll find out later, there is a great deal of magic in the editing room. A couple of days later, Isabelle interviews Chynna Howard, the first participant in our Blue Christmas show. Chynna Howard with the snowman story. 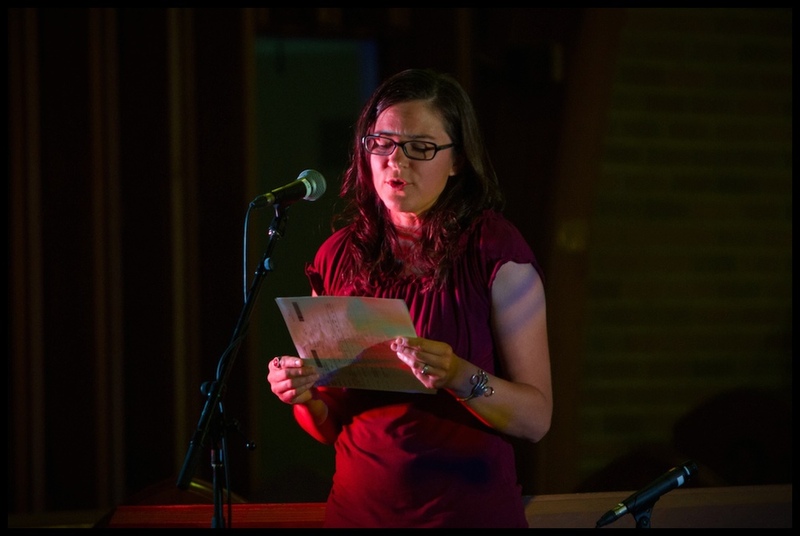 Chynna will share her story as part of Yule Ave tonight at 7 at the Alberta Avenue Community League. I don't hear Chynna's part of the piece until you do—live on air. The kids and I are making our way home. We've just bought a little bookshelf for the space. I've just dropped the key off for our volunteer gallery attendants. I get in the car as the segment begins. I listen and choke back some tears. I'm moved by Chynna Howard's story. I'm also incredibly proud. Proud of this segment. Proud of Blue Christmas and the team that has brought it to life. Proud of the Bleeding Heart Art Space. Proud that we are here, already, doing what we hoped we'd do. Making connections. Having conversations. Spreading art, faith, hope and love. Art speaks, and for 6 and a half minutes on Thursday afternoon, Edmontonians stopped to listen. Here is what we heard. Saturday, December 6 was a historic Bleeding Heart day. We opened our new space at 9132 118th ave. Our first show, Blue Christmas, welcomed guests to take in blown glass by Keith Walker, landscapes by Dawn Saunders Dahl and participation by ... you. This video lays out exactly what Blue Christmas is all about, and why you should most definitely pay us a visit this month. And here are 13 photos from the opening. Were you there? Do you plan on attending? Please share any feedback or questions below. 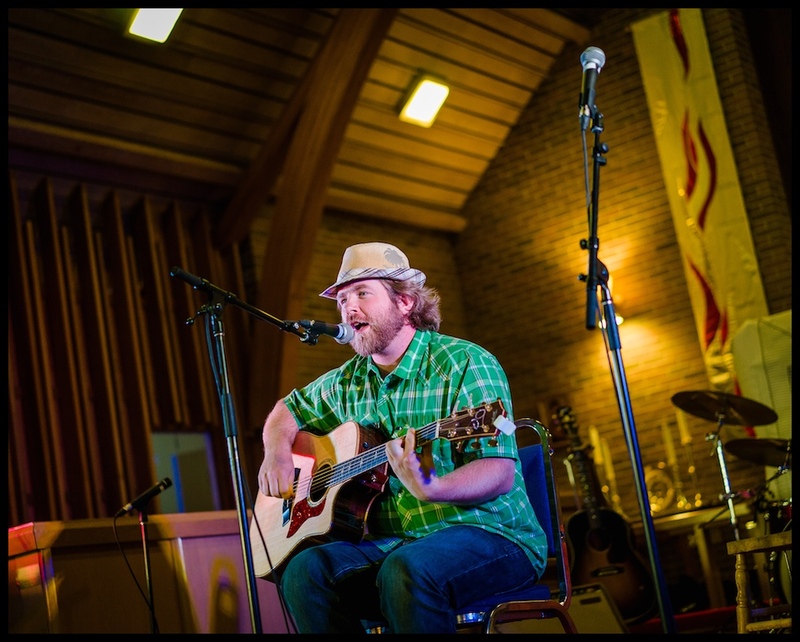 On Saturday, November 23, Jim Robertson curated (and largely created) a worship experience called Reign of Christ the King. This 'Feast Day', in Christian tradition, focusses on the rule of Jesus in the world. What does it mean to say Jesus is king of all, when so many don't even believe in his existence, and especially not his everlasting life? What does it mean to say God is still in control, in the face of Ferguson and Ebola and the middle east? It means a lot that is perhaps best understood beyond reason and rationale – beyond the brain and into the heart. Through image, sound, language, dance and practice. 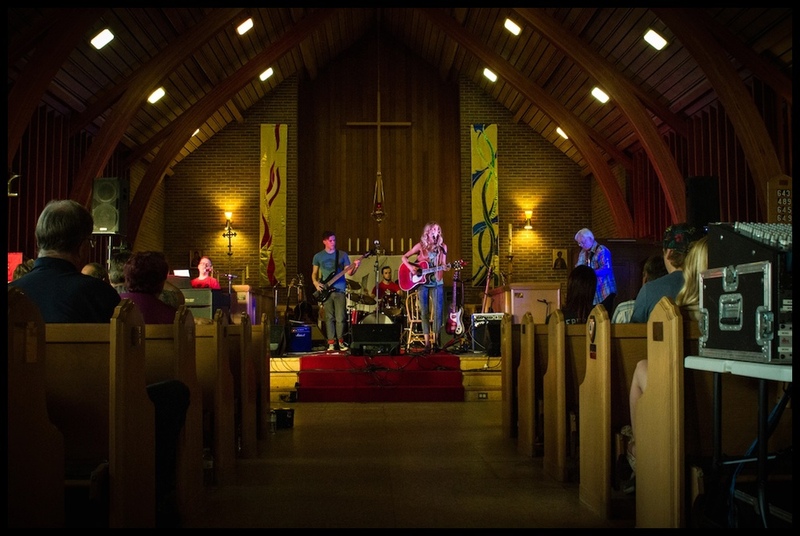 All of these elements were brought together at St.Paul's Anglican Church on November 23, when dozens of us came together to create an experience for 'one night only'. I can't describe what that kind of experience is like – when artists get the keys to church for an evening. But I can show you. And I will, in 13 pictures and a video. You've got a lot of explaining to do, Jim Robertson. Here, Jim does explain, and does it well, walking us through the evening's activities and sharing words from his deep well. The gathering is split into times of singing and reading and listening and sharing together, as well as time for a short dance. Then there is the bulk of the evening, the 'fat middle' where we are on our own to wander through a series of stations. This station, at the back, invites participants to pick up chalk and write (or draw) answers to some guiding questions. Questions like 'What do you see when you see Jesus in others?" A poem written for the evening by EmTee (and featured in the video below), peers into the various names for Christ. So does the installation piece above, acting as another worship station. 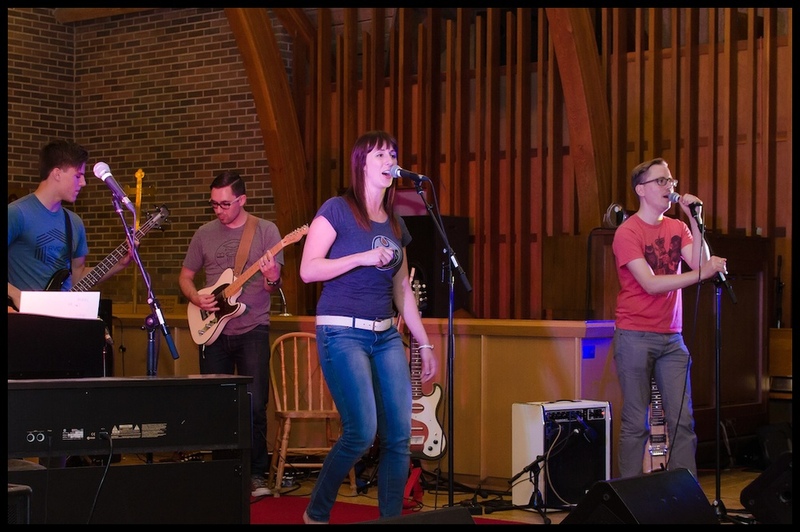 Rocks feature heavily in Jim Robertson's Interface Worship experiences. This display is my favourite. I'm not alone. I once heard Jim recall the incredible story of finding these rocks, years apart and yet two halves of one whole. Behold The Blessings of Brokenness. Another favourite piece of mine, this station features a large stone, the 'stone the builders rejected' crowned with some very painful looking thorns. It is accompanied, as all the stations are, with a written reflection, either curated or written by Jim Robertson. In one of the evenings first movements, the congregation each brings a carnation up to lay at the bottom of this beautiful wooden cross. At the bottom of the cross regal robes are draped. It forms a beautiful backdrop to the rest of our evening together, and at the end of the night we will surround this scene for Communion. Light plays a big part in the evening, and so it should, as Jesus has declared himself Light of the World. I can't get enough of this retro star lamp. If Jim ever wants to get rid of this piece, he knows where to find me. Interface Worship uses prayer bowls heavily. These liturgical objects are accompanied by written meditations and invoke images of prayers rising like incense, burning in bowls. The Prodigal Son story forms part of our evening. We are embraced by the king. We are robed in his righteousness. These colourful robes are put on by the participants near the end of the evening, as we gather round for communion. The colours also evoke 'the lilies of the file' - lilies which remind us not to worry, because if God dresses those flowers so beautifully, won't he also care for you and I? These vintage windows rotate, and as they do, the view through them changes. Reflects. Refracts. Windows for a few newer stations at the back of the room, and offer rich metaphors. And what would the evening be without these beautiful fabrics hanging above? These colours are rich with liturgical symbolism, and set the stage perfectly for the evening experience. Always look up. Can you smell those fresh carnations? A reminder that engaging all five senses is a powerful way to connect with God and one another. The simplicity of candles in the dark remains a favourite image of mine from this evening. Here, a trinity of candles shines small and unassuming. So low I have to nearly lay on the ground to photograph them. But if the Reign of Christ the King matters anywhere it is here, in the dark and low places. I hope that from those 13 strands you can weave together something of the whole. And if not, perhaps this video will help. And if not, there's always another nterface Worship experience ahead. This past weekend thousands of guests crowded the cordoned off streets of Alberta Avenue for the Kaleido Family Arts Festival. Perhaps you were one of them? 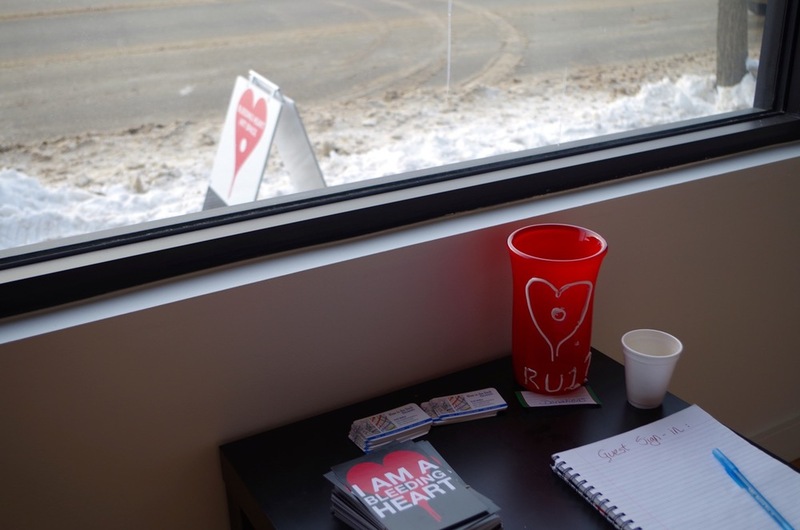 The Bleeding Heart Art Space provided volunteer care in the 'Volunteer Luxe Lounge' all weekend. This meant we decorated the room, brought in some crazy lamps, kept things clean and tidy and served up food the festival brought in. It also meant a lot of smiles and great conversations with some very dedicated volunteers. At some point, I left the Volunteer Lounge and wandered the streets. I took some photos. I had some moments. What moment stands out for you from this past weekend's festival? If you weren't able to make it, do you have any questions about what was there? Enjoy the photos and stories below! Well artist friends, this is the big official blog announcement! 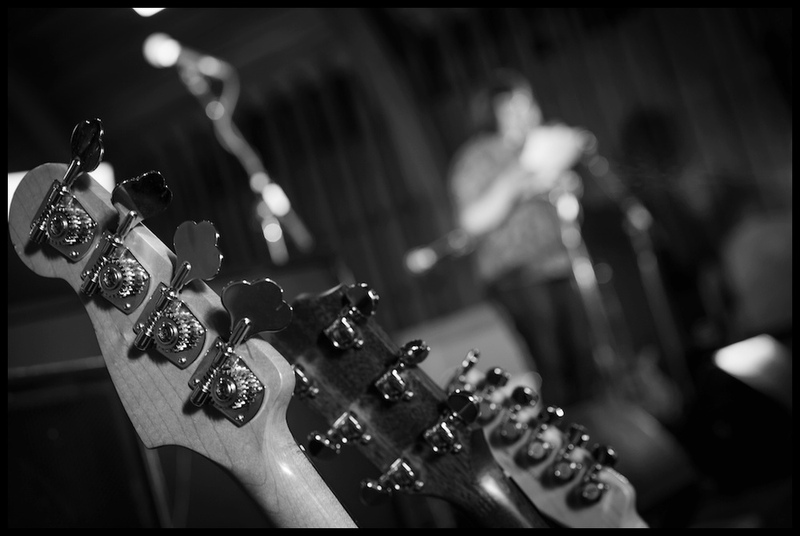 Our theme for Bridge Songs 2015 is "Perfict"
What's that all about, you ask? Well, perfection is fiction. Got you mulling? Call for submissions coming this fall! I'm excited to announce a new website, and a video, for Bridge Songs: Dear Edmonton - please watch and share! Our February Arts Potluck was a really wonderful time, kicked of with Adam Tenove sharing some work, and then heading in many other wonderful creative directions. If you've wondered what one of these things looks like, here's an idea. With all of the Dear Edmonton, submissions rolling in, I've got our fair city on my mind. I'm grateful, for instance, for my daughter's experience making sculpture with Lyndal Osborne at the AGA yesterday. Today, I join her class for the final day of Museum Week - where they get to experience the AGA through hands-on art making. 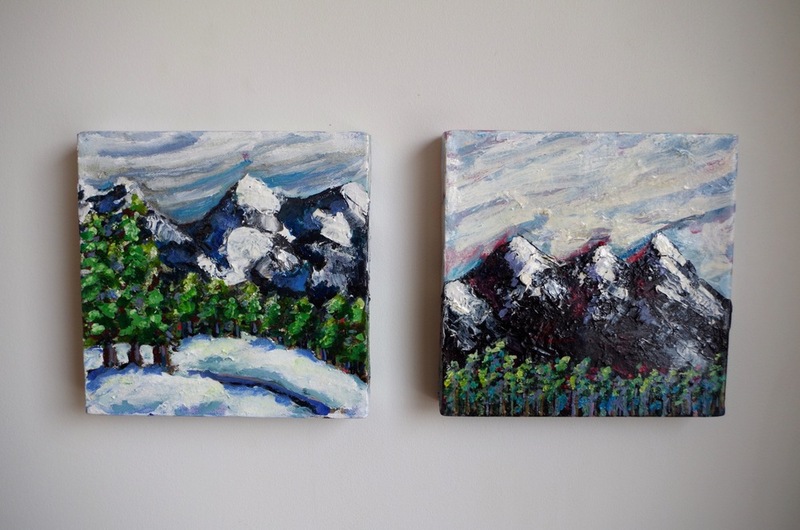 Our art gallery is certainly one bit of Edmonton Awesome to be grateful for, and if you haven't seen the Lyndal Osborne show Bowerbird: Life as Art yet, perhaps your Edmonton weekend starts there. In this spirit of appreciation, perhaps the only antidote to the dragging doldrums of a long winter, I dug into what our city has to offer art enthusiasts, just this very weekend. And I didn't have to look far. Here are a few highlights if you're still making plans. I love the 124th street galleries. They are concentrated in a little walkable area suited to a Saturday stroll. Some of my favourites are having openings this weekend. That generally means the artist is in attendance, and there are snacks. Can't get much better than that. Another favourite spot of mine, The Front Gallery houses a great selection of artists. The show opening from Paddy Lamb looks to be no exception. The EPL Makerspace is just a miracle of democracy to me. At the downtown public library, there is now a room packed with computers and digital goodies for making all sorts of digital creations. Keyboards for making music. A giant green-screen for photography and filming. All the professional software you could want. A 3D Printer. A book-making machine. The possibilities are huge. Oh, and it's all free to use. You only pay for the hard-costs on what you produce (the paper for a book, for instance). If you haven't dropped into the Makerspace yet, you really should. According the to video above, the EPL Makerspace even has a banana-piano? 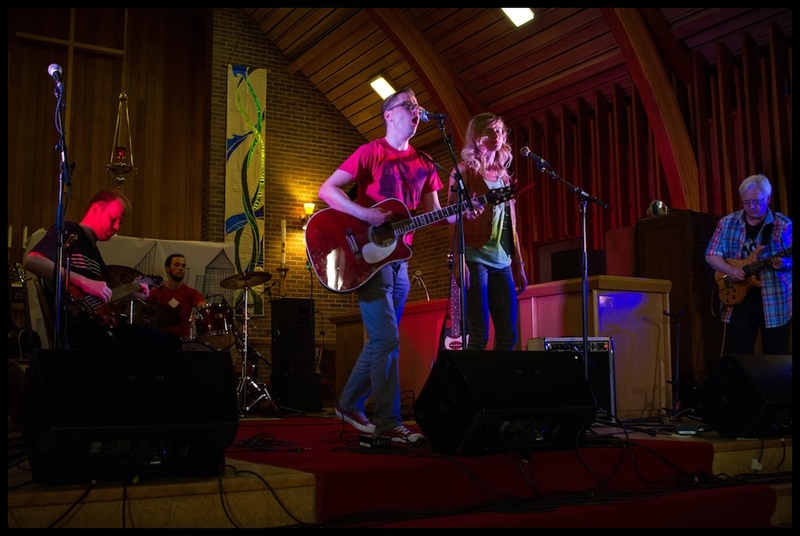 Not quite in Edmonton, Night of Artists takes place over the weekend at the St.Albert Enjoy Centre - a glass-walled sanctuary from the lengthy winter, made all the better when filled with local art. With a couple of evening gala events, and plenty of time for afternoon strolls through the many represented artists on Saturday and Sunday, it may be worth a short trip out of town to check out this long-running event from Phil Alain and friend Lewis Lavoie. "Night of Artists is designed as an opportunity for artists to showcase their artworks with other artists through a fun and exciting event that appeals to the masses. The idea behind the show is based on collaboration and team work. 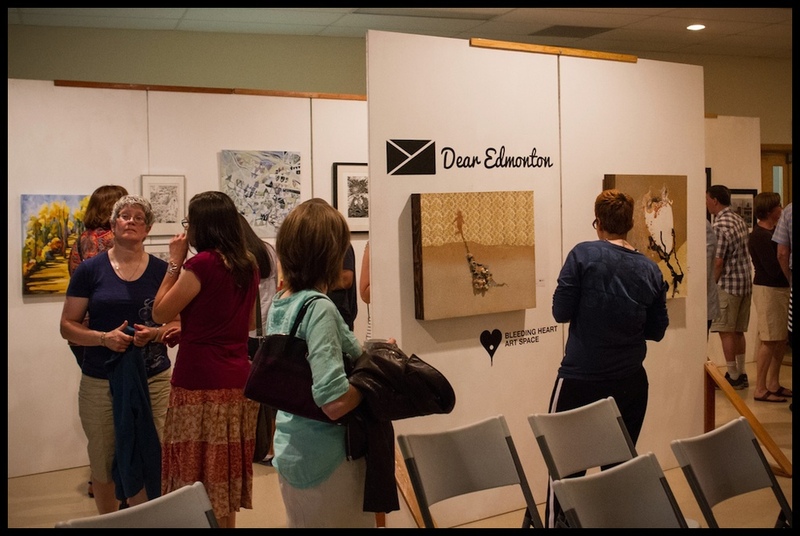 Thus the shows success for over 16 years has been a reflection of community coming together in support of the arts." Here is the video trailer for the event. I plan on driving by this weekend to check out this new kid on the museum block in Edmonton. I love vintage signage – especially vintage neon signage – so I just cannot wait to see what is only the beginning of this unique outdoor museum project. 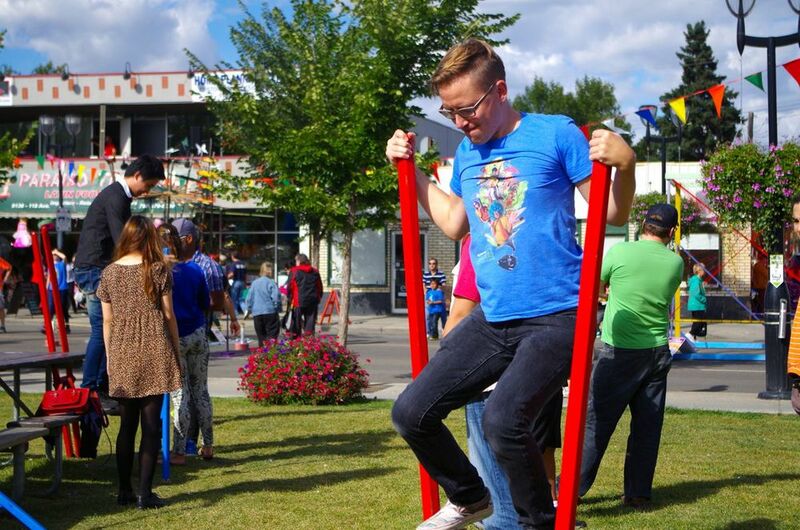 What is Your Edmonton Awesome? What are you loving in Edmonton this week? Share your recommendations in the comments below.